In the beginning there is light. Seven performers assemble downstage. They look into the light and introduce themselves. They tell us who they are playing tonight. They share their private worries, secret desires. There’s collective unease. A sense of impending doom, somehow. The performers move into position. They don deconstructed garb — stylised versions of Elizabethan period costumes. The play Hamlet commences. With a sprinkling of ash and dust, we are transported to Denmark. Claudius is taking his late brother’s crown; he has already taken Hamlet’s mother, Queen Gertrude, as his wife. But this is not your conventional coronation. There is an extra layer of menace to the one inherent in Shakespeare’s play: the countdown to zero is on and the end of the world is nigh. Peta (Peta Ward) as Laertes cues us to the coming apocalypse. She breaks character (the actors enact the play’s roles but also versions of themselves, using their first names) interrupting the court scene to get stuck into the edible props, the stash of wine. She states, apropos of nothing, that she will never be a wife, never have children. We understand then the stakes are life and death and this ensemble has chosen, despite its imminent demise, to follow through with the performance although, sometimes, the brave facade slips and they squabble, as well as buck each other up. Thomas Hutchins, who plays Claudius, is a kind of self-appointed director, demanding the actors re-work unsatisfactory scenes. He’s the kind of guy who reminds you when you’ve forgetten to add a flourish. Thomas seems to especially pick on Mitch Wood, the young performer playing Hamlet, later confessing that his has been his own dream role. For other characters though, the task of performing is futile. As the countdown continues, they falter and withdraw from the ensemble. Chris Beckey, playing Guildenstern, refuses point blank to commit to this absurd farce and retreats upstage to say his goodbyes in private. Peta as Rosencrantz, the Lano to Guildenstern’s Woodley, stands in for him during their shared scenes. When she doesn’t know his lines, she ad-libs, “Shakespeare, Shakespeare,” with a flourish. We get the gist. There will be moments of dark humour as well as pathos at the end of the world, it seems. Time rolls on, furious as the four horses of the said apocalypse. No one can outrun or ‘out act’ it. The countdown is heralded by blinding spotlights and a jarring sound design. Together these, by Ben Hughes and Dane Alexander respectively, produce a terrifying effect. 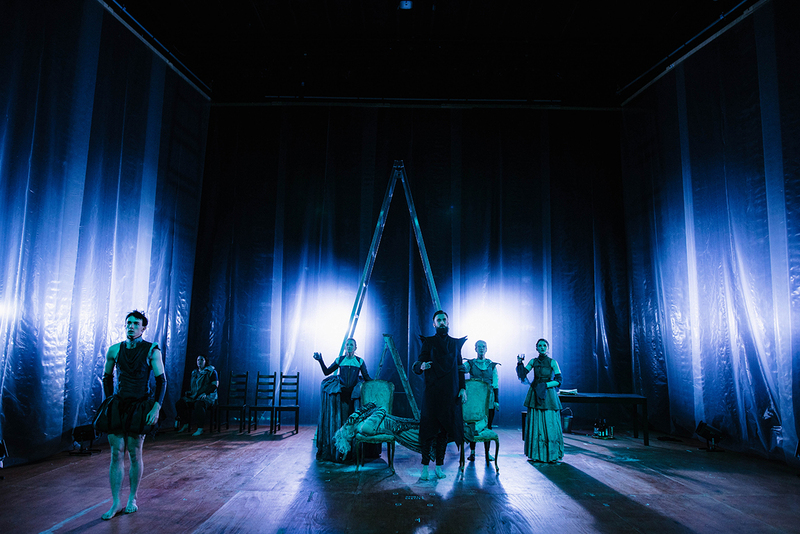 The Hamlet Apocalypse is physically spectacular as well; Stephen Mitchell Wright’s direction is incredibly precise, the performances heavily stylised, built on sustained movement techniques and evoking something of Antonin Artaud’s notion of performing bodies as animated hieroglyphs. The pacing of the action during the countdown is demandingly erratic and the cast appear to be white-knuckling it too. Towards the end, there is a moment where Caroline Dunphy, playing Gertrude, breaks character to tell us about her real life son, what it has meant to be his mother and of her hopes for his future. Not only do we get a glimpse of the actor’s personal life here, but her statement has great bearing on where her character is at in the play. And therein lies the joy and terror of this work. Sometimes the thoughts of the performers echo and amplify the epic themes in Shakespeare’s text and at other times they eclipse it. Either way, these little overshares are always heartbreakingly human and honest. 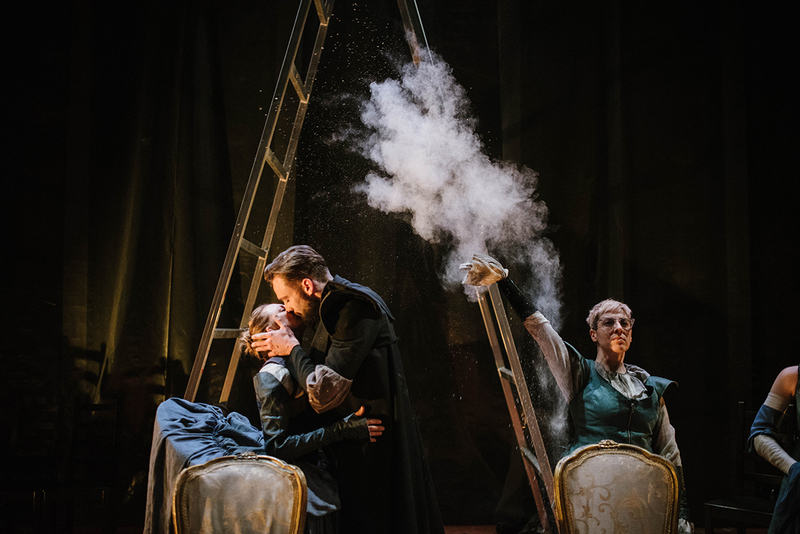 Even in the last moments, after the cast have counted down to “one,” the show must go on, resulting in a furious, fractured montage of the final scenes of Hamlet. 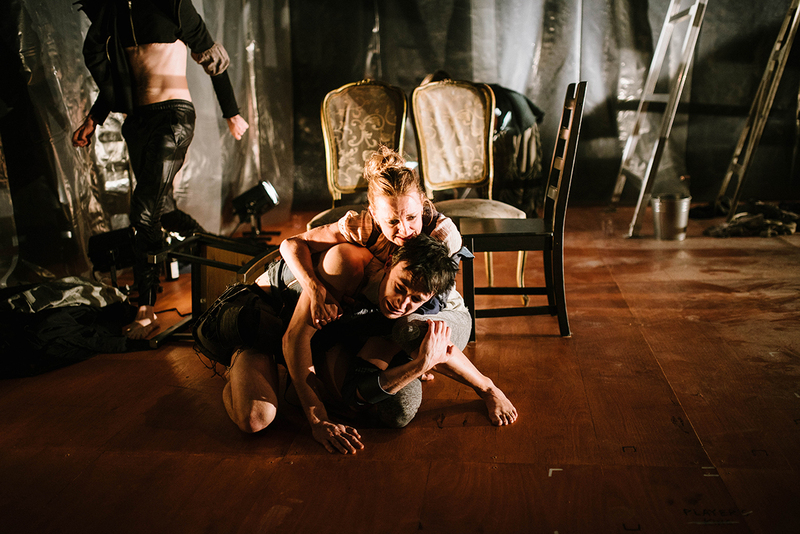 Action is distilled into pure imagery, which feels like the end of Sarah Kane’s work Blasted. And when it’s over, once more the performers step into the light. They offer their final reflections, both as the players and themselves. Nicole Harvey as Ophelia is grateful to the point of tears that she was able to finish the show for us. And Mitch as Hamlet wonders whether it is better to be or not to be, of course. 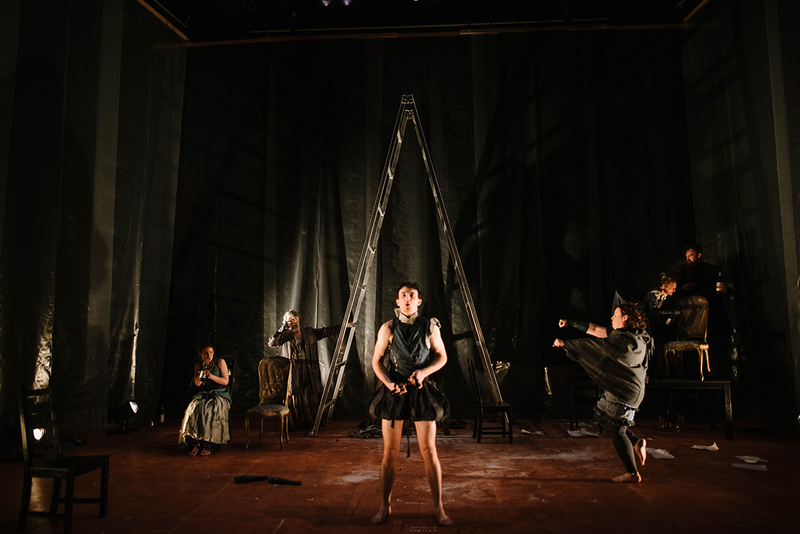 The Hamlet Apocalypse is a startling and beautiful rumination on what it means to live now. It asks what we will treasure and regret most when the world folds in on itself. We can never know what will happen until we each experience death for ourselves, but we can ensure we make the most of our time during the countdown. For another view of The Hamlet Apocalypse in terms of Gen Y, Greek Tragedy, Kafka and Camus, read the late Douglas Leonard’s response to its 2011 premiere.